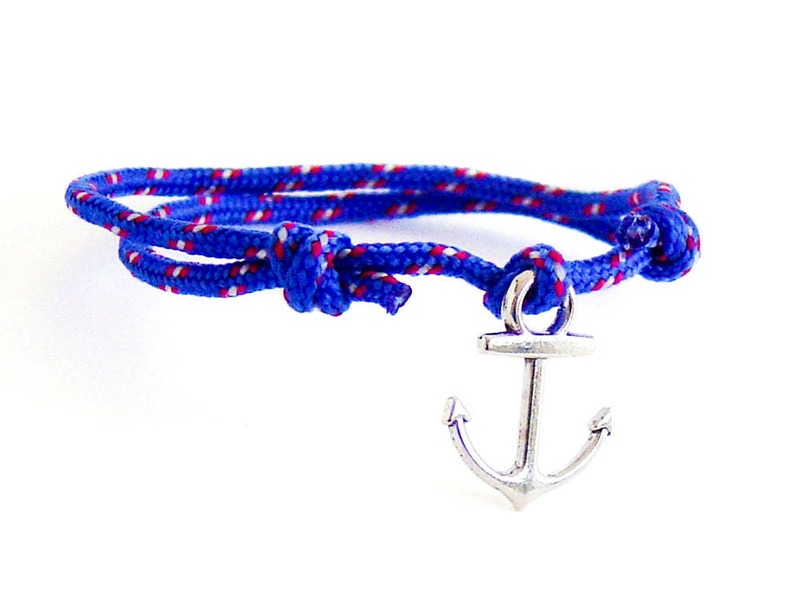 This anchor rope bracelet for men is the simplest one in our anchor jewellery collection. 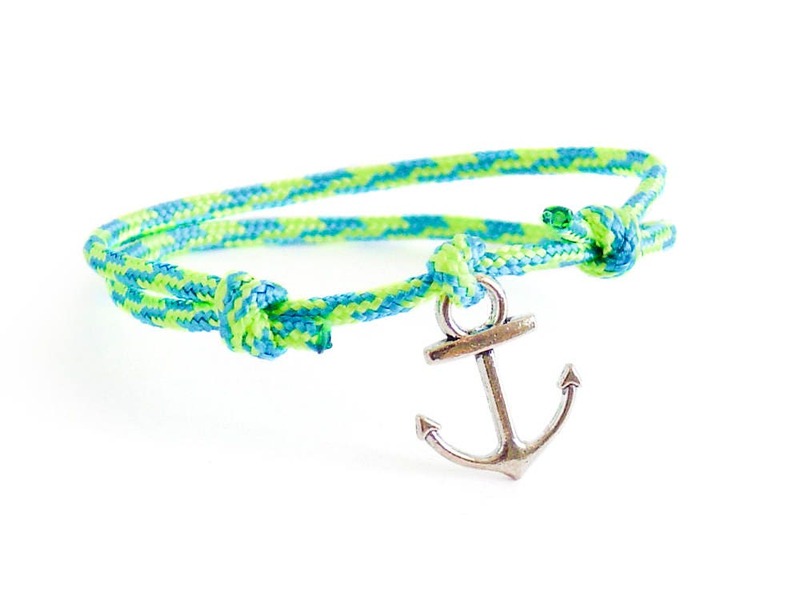 It can be used as an anchor bracelet women or as an anchor friendship bracelet, that couples and best friends wear. 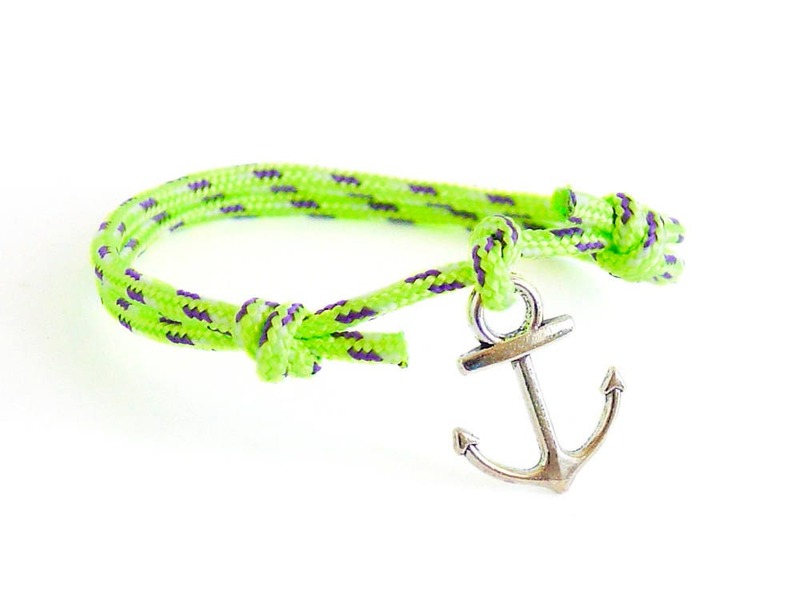 We designed it of a tiny synthetic rope and a mini metal charm. 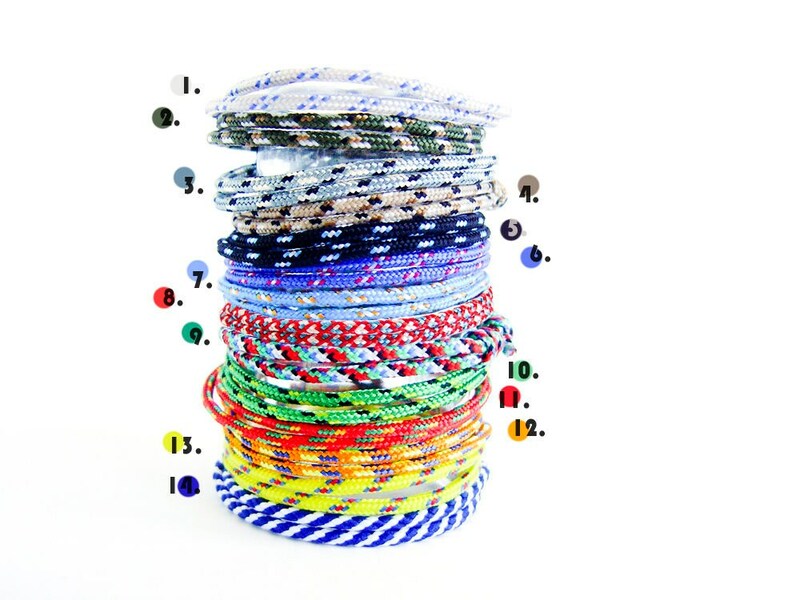 It will fits perfect to everybody, because you can adjust its diameter when you slide the knots. 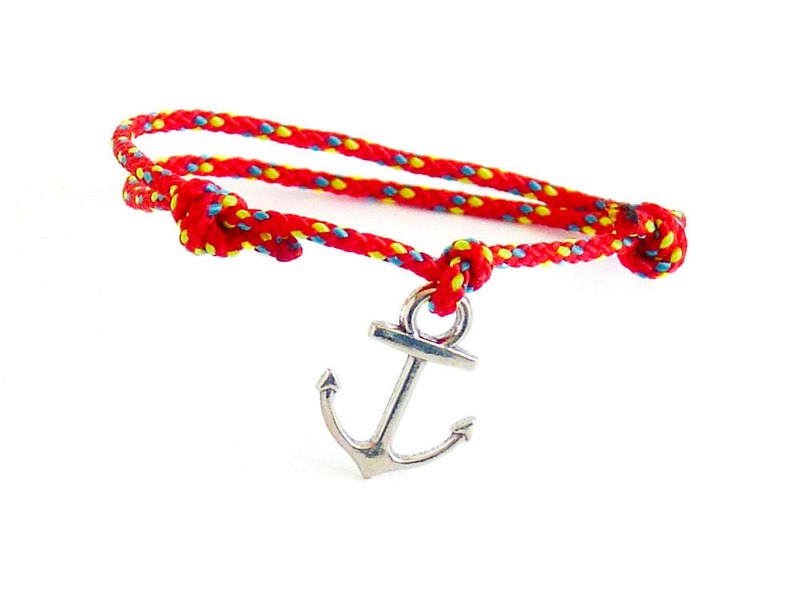 Wearing this anchor friendship bracelet you will have a tiny (2 mm in diameter (3/32")) prusik rope, that you can use in case. 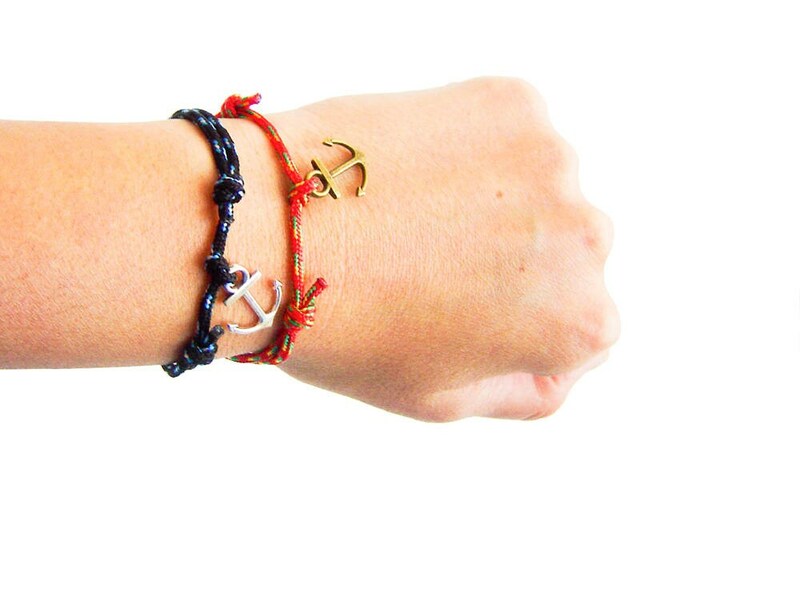 * The perimeter of the the anchor bracelet - women is 25 cm (9 13/16") when it is maximum opened, and 12 cm (4 3/4") when it is max. closed. 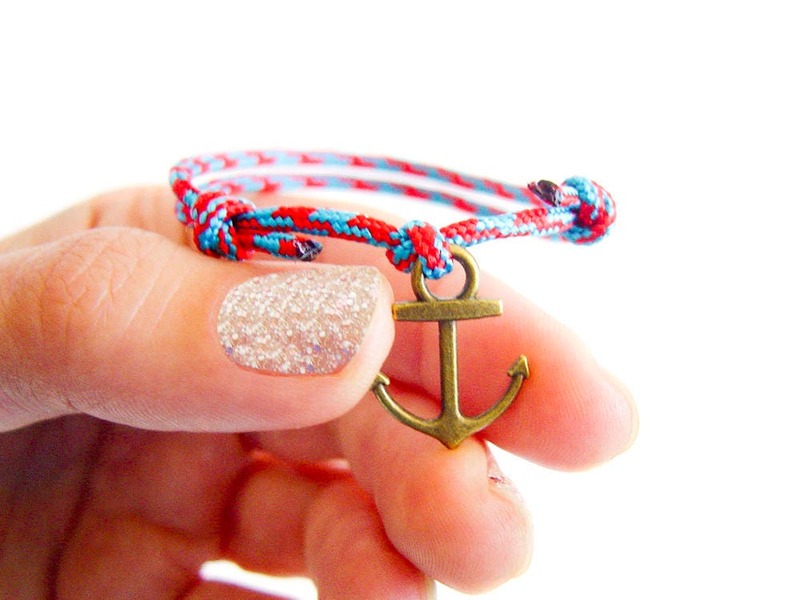 Dimensions of the mini metal anchor: 1.9 cm long (3/4"), 1.5 cm (9/16") in the widest part. 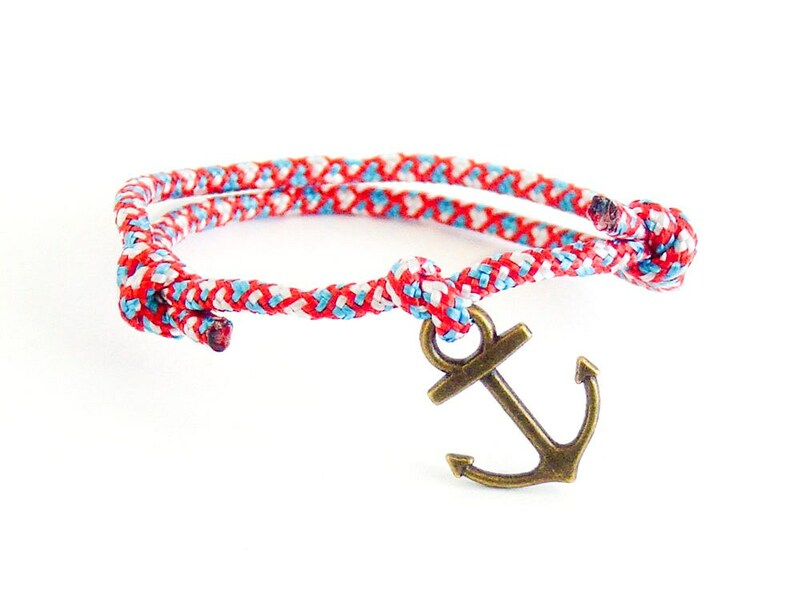 Lightweight and very comfortable to be worn. You can wear it all day long, wet it, sleep with it, sport with it. 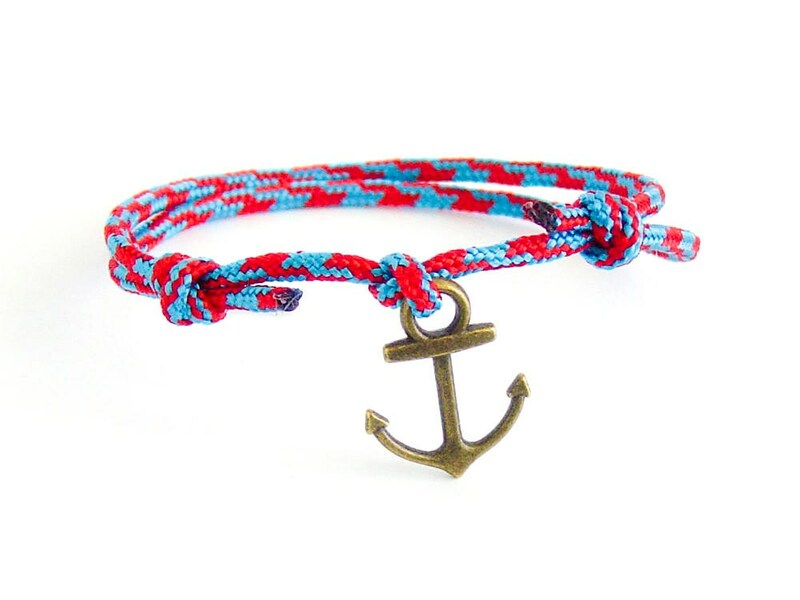 It can be used as infinity anchor anklet too. 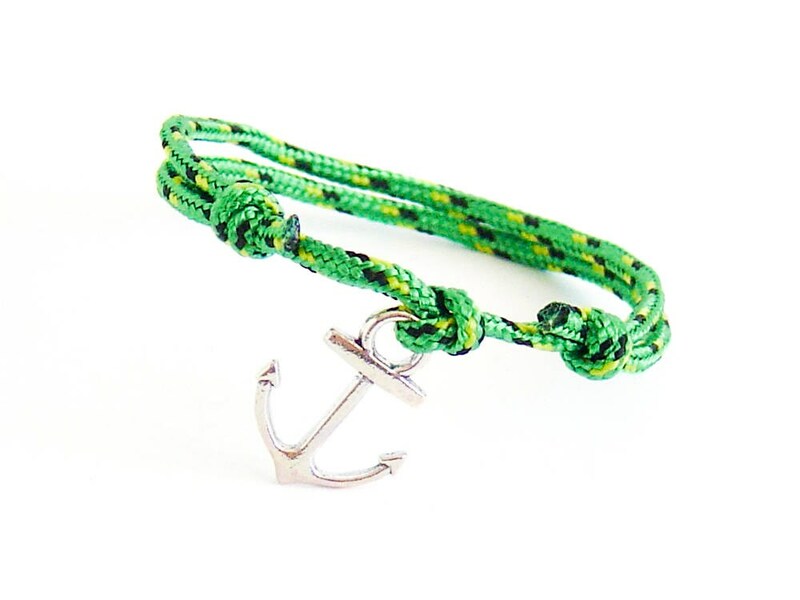 Best for corresponding women - man jewelry gift for sport persons.